Our 2015 photo contest is open for entries! Next March we’ll host the 9th annual (holy cow that’s almost a decade!) Exposed DC Photography Show, our celebration of living in the Washington, D.C. area. We want to see your images of the people and places, the art and music and food and sports, and the culture and nostalgia of this incredible town we live in. The District is too often reduced to, at best, a tourist destination, or at worst, a political mudpit – but these things are blips on the radar for those who live, work, and love in this town. The Exposed DC exhibit shows our city to us. The contest is geared towards photographers who generally don’t exhibit their work, but anyone can enter – send in your excellent iPhone photo or your sharp Leica exposure. If you just love taking pictures, this is your contest. You can submit your work until January 7, 2015, so if you don’t have the perfect shot, you have plenty of time to go out and get it. Some of you will also be relieved to hear we finally left Flickr behind and for a new submission system that we think you’ll like for its non-Yahoo-ness. More on that below. Tonight, December 3, we’ll be at Bluejacket Brewery’s Arsenal, 300 Tingey St SE, to kick off our ninth year. Join us from 6 to 8 p.m. and meet the Exposed DC team, previous years’ winners, and all your fellow photography lovers. We’re looking forward to again having Bluejacket as our beer sponsor for the exhibition opening night. Please read through our rules below, about both entering the contest and participating in our exhibit. Questions, comments? Drop them in the comments or ask us tonight at Bluejacket, and subscribe to our newsletter for all our contest and exhibit updates. If you’re interested in volunteering for our team, drop us a line. Head over to Submittable to enter your photos. Entry fee is $25 for 4 photos. Enter as many photos as you choose. You can enter the contest until 11:59 p.m. on Wednesday, January 7, 2015. We will post links to the winners here and notify the photographers via email on January 13, 2015. Subject Matter: The Exposed DC Photography Show is a celebration of our nation’s capital as seen through the eyes of people who live and work here. Show us your best images of local art, sports, food, culture, and street photography and yes, even the occasional monument, but make sure it blows us away! We want to see your amazing, everyday Washington, D.C. experiences. Location: You must live and enter photos taken in the Metro area, including the commuter suburbs of Virginia and Maryland. The farther away your photo was taken from the Beltway, the less likely we are to choose it as part of a celebration of the area. You can look at past winners for inspiration. Dated and Altered Images: Our rule is simply to be reasonable. If your photo is obviously ten years old, it’s unlikely we’ll choose it to represent the city we live in today. Basic image adjustments are fine, but if it’s Photoshopped to some place outside of reality (text, extreme filters, gratuitous use of HDR, etc. ), it’s very unlikely we’ll choose it. 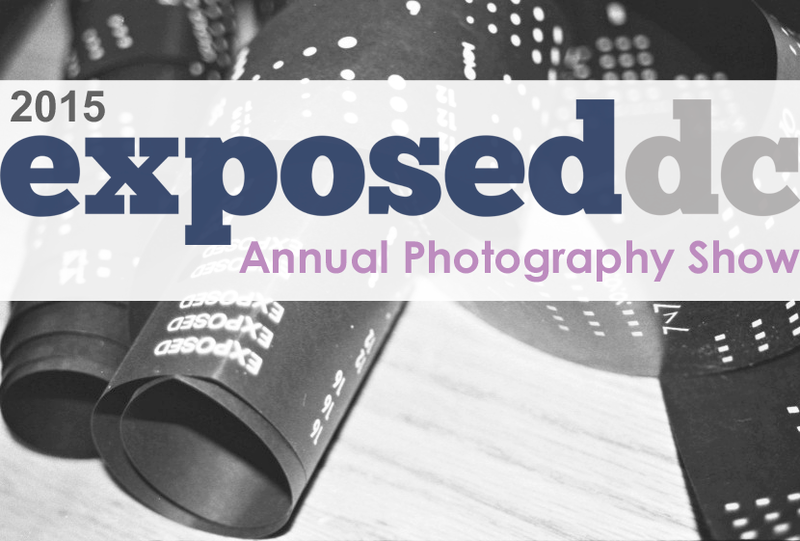 Exposed DC will display your image in our annual gallery exhibition. You give Exposed DC permission to reproduce your image on our website and in the exhibition catalog, use it for promotional purposes, and to sell your photograph during the exhibition run. We know many of you have never had your work professionally framed before, but we want your work to look its best, so no homemade jobs unless you’ve got some experience doing this. Exposed winners get a deal at Apex Molding, who will also frame faster than any other store. We’ve also added Capitol Hill Frame & Photo to the list of recommended framers. Your print will be for sale in the exhibit. If you’ve never sold a photograph, we’ll advise you on pricing and other questions. Remember this is an exhibit focused on amateur photographers and your sale prices should reflect that. To help us pay for the event, Exposed DC keeps 30 percent of all sales in your edition during the exhibit. You’ll have two months to print and frame your photograph. During the week before the opening reception, you’ll need to deliver your photograph to the gallery. Bring your family and friends to the opening night of the Exposed DC Photography Show in March to celebrate all the winners, spy on gallery-goers as they gush over your work, and maybe buy a photo yourself!